Could the warming on other planets offer an alternative explanation to global warming on Earth? The Intergovernmental Panel on Climate Change report shows 2,500 scientists in more than 130 countries agree that humans are to blame for all or most of the warming on Earth (“Fast Facts”). Yet an examination of ice cores in Greenland and Antarctica reveals Earth has experienced global warming before the industrial age, which is only about two hundred years ago (“CO2 Not to Blame”). According to Habibullo Abdussamatov, head of space research at St. Petersburg’s Pulkovo Astronomical Observatory in Russia, by studying the variations of the sun’s temperature, we can see a pattern that fits the climate changes on Earth (Ravilious). Global warming is still widely debated among the scientific community over what or “who” is causing it. Four Australian governing party lawmakers reject the idea that humans are the culprit to global warming and wrote in a report “whether human activities are disturbing the climate in dangerous ways has yet to be proven” (Associated Press). It’s possible the sun may be to blame for the current global warming trend as it is occurring on several different planets in our solar system. 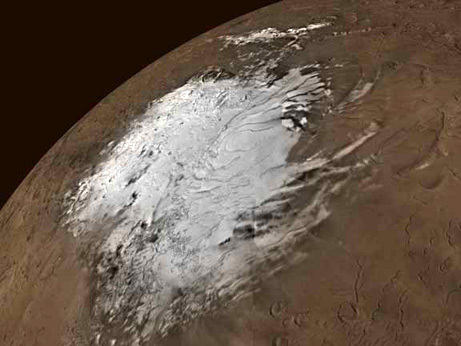 Data collected from NASA’s Mars Global Surveyor and Odyssey missions confirms “ice caps” on Mars had been melting for three consecutive summers (Ravilious). A relationship among Earth and Mars leads to theories other than the currently accepted green house effect theory. Abdussamatov says, “The Mars data is evidence that the current global warming on Earth is being caused by changes in the sun” (Ravilious). He also says there have been “periodic ice ages” on both Mars and Earth in the past (Ravilious). The Intergovernmental Panel on Climate Change (IPCC) has suggested in other recent research “the effects of variations in the sun’s output are ‘negligible’ as a factor in warming, but other, more complicated solar mechanisms could possibly play a role” (“Fast Facts”). In other words, the theory of solar irradiation having an impact on global warming is not important enough for the IPCC to consider. As long as global warming is occurring on planets other than Earth, it would seem like a very good idea to investigate this theory further. The warming of Neptune’s largest moon Triton has increased significantly since the last visit by the Voyager space probe in 1989 (“Neptune’s Moon”). James L. Elliot, professor of Earth, Atmospheric and Planetary Sciences and director of the Wallace Astrophysical Observatory, says, “At least since 1989, Triton has been undergoing a period of global warming. Percentage-wise, it’s a very large increase” (“Neptune’s Moon”). It is easier to study Triton compared to other planets for the “causes and effects” of global warming since its “simple, thin atmosphere” can be clearly seen (“Neptune’s Moon”). Pluto has also experienced global warming due to an increase in the amount of solar output from the sun (“Pluto”). A Massachusetts Institute of Technology researcher mentions “the average surface temperature of the nitrogen ice on Pluto has increased slightly less than 2 degrees Celsius over the past 14 years” (“Pluto”). Both Pluto and Triton have a nitrogen atmosphere and are about the same distance away from the sun, so it is easy to assume similar processes occurring on both planetary bodies (“Pluto”). Jupiter has also been experiencing some climate changes recently (Goudarzi). A new “red spot” has been photographed by the Hubble Space Telescope, and it is believed to have emerged between 1998 and 2000 (Goudarzi). A study led by Imke de Pater and Philip Marcus of the University of California pointed out “the latest images could provide evidence that Jupiter is in the midst of a global change that can modify temperatures by as much as 10 degrees Fahrenheit on different parts of the globe” (Goudarzi). Recent satellite observations reveal the “total solar irradiance does vary” (“TSI”). Based on the results of six satellites, Nimbus 7, SMM, ERBS, NOAA 9, NOAA 10, and UARS, the “solar constant” is not constant at all, but “variations on solar rotational and active region time scales are clearly seen” (“TSI”). It has been concluded by the NOAA Satellite and Information Service “the total solar irradiance provides the energy that determines the Earth’s climate” (“TSI”). The resounding evidence of warming on other planets should lead one to believe the sun is behind global warming on Earth, but why do some scientists dismiss the theory? The IPCC said in a February 2007 report, “Industrialization, deforestation, and pollution have greatly increased atmospheric concentrations of water vapor, carbon dioxide, methane, and nitrous oxide, all greenhouse gases that help trap heat near Earth’s surface” (“Fast Facts”). They also claim “humans have caused all or most of the current planetary warming” (“Fast Facts”). Is it possible this could be a “misinterpretation of cause and effect relations” dealing with the greenhouse effect? (“CO2 Not to Blame”). “Global warming results not from the emission of greenhouse gases into the atmosphere, but from an unusually high level of solar radiation and a lengthy – almost throughout the last century – growth in its intensity,” Abdusamatov told RIA Novosti in an interview (“CO2 Not to Blame”). Thousands of international scientists from a UN panel agree humans are the cause for warming over the last half century (“CO2 Not to Blame”). However, they also admit “rises in temperatures can potentially cause massive increases of greenhouse gases due to various natural positive feedback mechanisms. For example, the methane released by melting permafrost, ocean algae’s reduced capacity to absorb carbon at higher water temperatures, and the carbon released by trees when forests dry up,” all contribute to greenhouse gases when temperatures rise. (“CO2 Not to Blame”). This information suggests that warming on Earth is “caused” by the sun and in “effect” creates excess greenhouse gases not produced by any human activity. Environmental activists are saying “we need carbon taxes to help stop climate change” (Harris). Bjorn Lomborg, author of The Skeptical Environmentalist, suggests we “enact a realistic carbon tax and use the revenue from it to fund research and development of alternative, low-carbon energy sources” (Langley). What is carbon taxation? “It is a method of artificially increasing the prices of fossil fuels such as coal, oil and natural gas in proportion to their carbon content” (Harris). This would not only devastate the economy, but it would be justified on a false pretense that humans have caused global warming (Inhofe). There have been previous attempts to have the U.S sign a treaty requiring the reduction of “manmade emissions” (Inhofe). 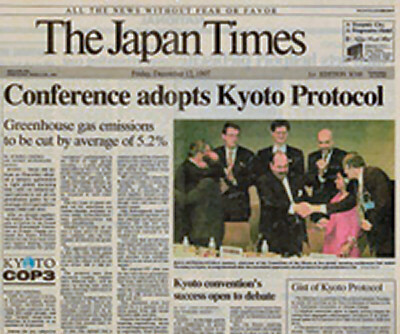 The Kyoto Treaty which “requires signatories to reduce their greenhouse gas emissions by considerable amounts below 1990 levels,” was signed by the Clinton Administration but was never ratified by the Senate (Inhofe). According to WEFA economists, “Kyoto would cost 2.4 million U.S. jobs and reduce GDP by 3.2%, or about $300 billion annually, an amount greater than the total expenditure on primary and secondary education” (Inhofe). A threat still faces the people today if they hold themselves accountable for global warming. James M. Inhofe, a Chairman of the Senate Environment and Public Works Committee, says “Without proper knowledge and understanding, alarmists will scare the country into enacting its ultimate goal: making energy suppression, in the form of harmful mandatory restrictions on carbon dioxide and other greenhouse emissions, the official policy of the United States” (Inhofe). Al Gore has been a strong advocate for placing blame on the human race for global warming; and this has been evidenced by his signing of the Kyoto agreement. Sen. Inhofe said on the floor of the U.S. Senate on July 28, “The Clinton Administration, led by former Vice President Al Gore, signed Kyoto on November 12, 1998, but never submitted it to the Senate for ratification”( Inhofe). “Under Kyoto, energy and electricity prices would nearly double, and gasoline prices would go up an additional 65 cents per gallon” (Inhofe). Al Gore, in a nutshell, plays the role of a politician that “exploits public climate change fears to promote CO2 reduction schemes, carbon taxation being one of them” (Harris). 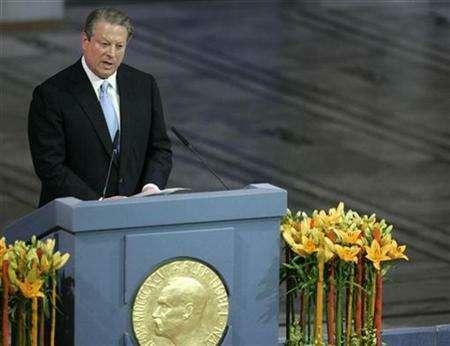 Other possible causes of global warming need to be further investigated to clarify what must be done in this scenario. There might not even be a solution if the current planetary warming is under the influence of variations in solar output. The public should carefully examine the hidden agendas and overall goals of politicians through independent research to undermine the media’s influence on public opinion. More than enough credible evidence supports the theory of solar irradiance as the main cause of global warming. Is it a coincidence other planets are simultaneously experiencing global warming? The world is changing before our very eyes regardless of what causes this phenomenon. “About IPCC”. Intergovernmental Panel on Climate Change. 11 Dec. 2007. http://www.ipcc.ch/about/index.htm. The Associated Press. “Officials doubt cause of global warming.” Charleston Daily Mail. 13 Aug 2007. 5A. eLibrary. Proquest CSA. 14 Dec 2007. http://elibrary.bigchalk.com. “CO2 Not to Blame for Global Warming”. 15 Jan. 2007. RIA Novosti. 10 Dec. 2007. http://en.rian.ru/russia/20070115/59078992.html. David, Adam, Environment correspondent. “National: Climate Change: UN Scientists Urge Carbon Tax to Fight Global Warming: Temperatures May Rise 6C by 2100 Says Panel: Report Marks Effort to Find Post-Kyoto Consensus.” Guardian, The. 17 Nov 2007. 6. eLibrary. Proquest CSA. 14 Dec 2007. http://elibrary.bigchalk.com. “Global Warming Fast Facts.” 14 June 2007. National Geographic. 4 Dec. 2007. http://news.nationalgeographic.com/news/2004/12/1206_041206_global_warming _2.html. “Global Warming on Neptune’s Largest Moon”. 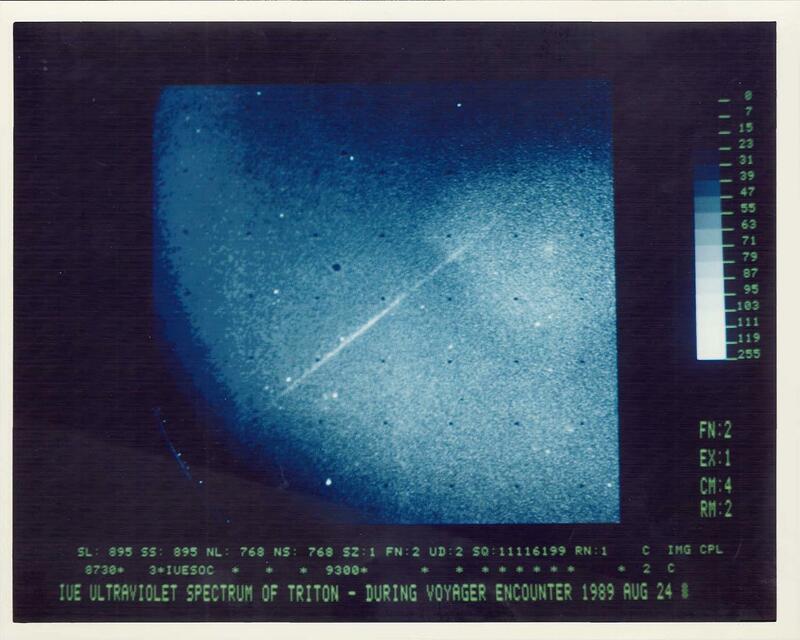 24 June 1998. Massachusetts Institute of Technology. 8 Dec. 2007. http://web.mit.edu/newsoffice/1998/triton.html. Goudarzi, Sara. “Storm on Jupiter Hints at Climate Change”. 4 May 2006. 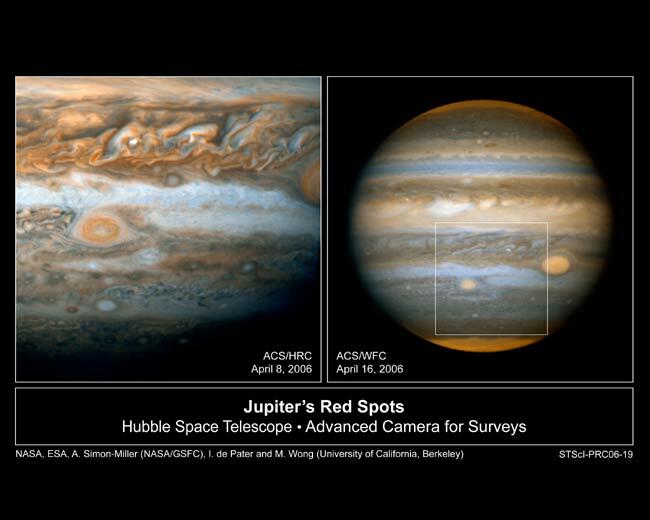 10 Dec. 2007. http://www.space.com/scienceastronomy/060504_red_jr.html. Harris,Tom. “Carbon Taxes Would Shrink Our Economy.” Spectator (Hamilton, Ont.). 13 Aug 2007. A15. eLibrary. Proquest CSA. 14 Dec 2007. http://elibrary.bigchalk.com. Inhofe, James M. “Global Warming: The Worst of All Environmental Scares.” Human Events. 04 Aug 2003. 12. eLibrary. Proquest CSA. 14 Dec 2007. http://elibrary.bigchalk.com. Langley, Greg. “A Debate that Blows Hot and Cold *** Danish Economist Says Global Warming Claims Fueled by Hysteria.” Baton Rouge Advocate. 09 Sep 2007. 3. eLibrary. Proquest CSA. 14 Dec 2007. http://elibrary.bigchalk.com. “Pluto Is Undergoing Global Warming”. 9 Oct. 2002. Massachusetts Institute of Technology. 8 Dec. 2007. http://web.mit.edu/newsoffice/2002/pluto.html. Ravilious, Kate. “Mars Melt Hints at Solar, Not Human, Cause for Warming, Scientist Says.” 28 Feb. 2007. National Geographic. 4 Dec. 2007. http://news.nationalgeographic.com/news/2007/02/070228-mars-warming.html. “Total Solar Irradiance (TSI)”. 2 Aug. 2007. NOAA Satellite and Information Service. 11 Dec. 2007. http://www.ngdc.noaa.gov/stp/SOLAR/ftpsolarirradiance.html.